The publication of my most recent review for Numéro Cinq the other day, was, for me, a welcome opportunity to revisit an intelligent, humourous, bittersweet tale about growing up in Québec during the 1970’s and 80’s. This debut release from QC Fiction, a new imprint from Baraka Books created with the bold ambition to bring a new generation of Québec writers to an international audience through a subscription funded model, is first and foremost a story about family. I have been thinking a lot about family myself these days as my brothers and I have been shaken and shattered by the critical injury of our father and the sudden passing of our mother within the span of the past week. Like all families, ours has its share of idiosyncratic dysfunction, but in our heartbreak we’ve been remembering the beauty and the humour above all of the difficulties and anxieties that have divided and united us over the years. The family that Eric Dupont brings to life in Life in the Court of Matane, separated, defined and redefined by divorce and remarriage, shimmers with sparks of love, respect and affection. Even in the court of this latter day Henry VIII and his past and future queens, a sense of humour goes a long way, setting the ground for an unforgettable, original coming of age tale. Growing up in a broken home is rarely easy. Too often children become pawns on the emotional battlefield as their parents face off against one another. This is the atmosphere of uncertainty and insecurity in which the eponymous narrator of Life in the Court of Matane and his sister find themselves at an early age. So it’s little wonder that they would recognize their predicament in the feats of a certain young Romanian gymnast swinging between the uneven parallel bars at 1976 Olympic Games in Montreal. But Nadia Comaneci is only one of a number of personalities evoked in this inventive coming-of-age story. She joins the re-imagined court of Henry VIII, key figures in the debate between Québec Separatists and Federalists, and a menagerie of assorted birds and beasts in Eric Dupont’s engaging account of a childhood defined by divorce. Originally published as Bestiaire in 2008, Peter McCambridge’s translation of this acclaimed novel heralds the debut of QC Fiction, an ambitious publishing initiative dedicated to introducing readers to an new generation of Québec literature. Their goal is to be able to offer “surprising, interesting novels in flawless English translation” to a wide audience through a subscription funded model inspired by publishers such as And Other Stories, Deep Vellum, and Open Letter Books. 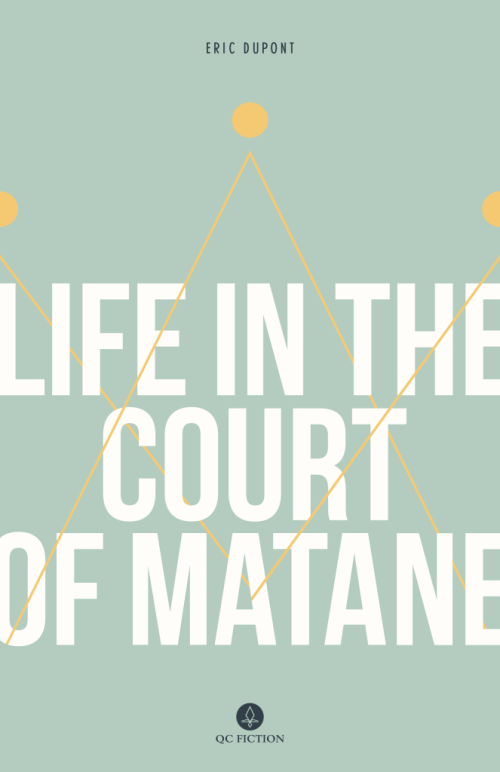 With this in mind, it is difficult to imagine a more enchanting and original novel to launch this new imprint than Life in the Court of Matane. I’m going to Québec in a fortnight and I was looking for books from Québec. Thanks for the suggestion. Dupont is a very funny but intelligent story teller. I enjoy contemporary Québec writer. In french you will have an even wider range to chose from. Have a great trip! I’ll get one of his in Montréal. I’d rather have it in Québec edition. Here they sometimes “erase” Québec words in Québec books to “frenchise” the text. Something I find ridiculous and shocking. As if American lit got “britishised” when books cross the ocean.